Mumbai: Born in 1923, in what is now Pakistan, Bal Chhabda was a self-taught artist. Sadly, he passed away in the second week of March this year. He was a man who wore many hats. 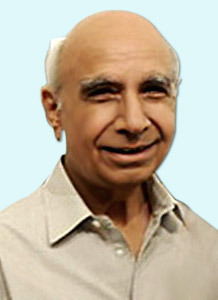 He started his career with film making but soon gave that up and founded the well-known gallery in Mumbai, Gallery 59. Soon after, Chhabda took to painting as well. And not much later he started collecting art. After the demise of his wife, and his good friends Tyeb Mehta and M.F. Husain in a span of three years, it is a well known fact that Chhabda lost his will to live and became a recluse. At first glance, Chhabda’s work seems abstract, but on closer inspection it reveals various distorted shapes and forms that create intriguing visuals. He was one of the distinguished artists associated with the Progressive Artist’s Group, which made a tremendous contribution to the modern art movement in India by consciously seeking new idioms. The group included almost all the important artists working in Mumbai in the 1950s. Read more about his practice. He participated in several exhibitions in India and internationally including Salon de la Jeune Peinteure, Paris, and the Tokyo Biennale, in 1960. 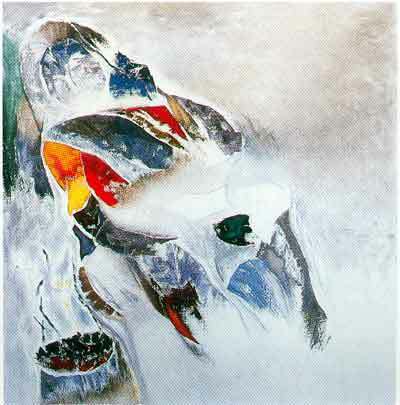 He received the Governor’s award, one of the three major awards, at the Tokyo Biennale in 1961. 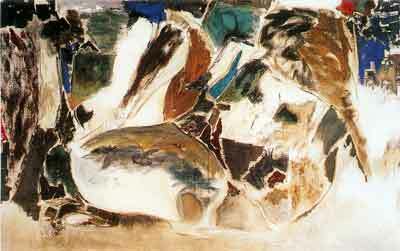 He has also participated in the exhibition, Seven Indian Painters at Gallerie Le Monde de U Art, Paris, 1994.